We open from 10:00AM today! Why not make an appointment with us? Click here to make a booking. 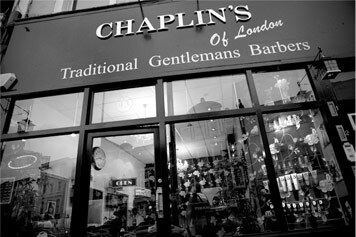 The traditional gentleman's barbers, Chaplin's of London, opened their doors in Deptford, South East London, in the winter of 2010, with our Crofton Park shop opening in 2016. Our approach is very simple. Chaplin's of London provides a service to the everyday man whereby he can escape, relax and enjoy some proper male grooming services but without a West End price tag. Here at Chaplin's, we wanted to restore some good old traditional values and quality service back to the male community. With this in mind, we recently opened our shop in the heart of Deptford, just a stone's throw away from the high street and the various rail and DLR stations. Sophistication comes from one’s desire and ability to look good, dress well and present yourself correctly to project that impression of style. It also provides you with that ‘feel good’ factor when you create the right impression. Whether you are going to a business meeting, a party, or even down to the gym, it is important you look the very best at all times in order to carry yourself properly. A well groomed man projects good self respect and a high self esteem. 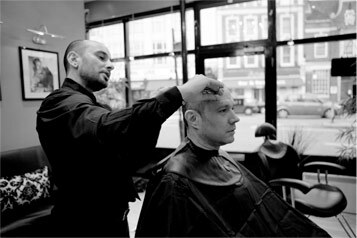 Here at our Barber shop, you will find all the right attributes that reflect this code of conduct. Whether it’s getting a razor sharp hair cut, a facial treatment, a hot towel shave or purchasing some fine cologne – you will be able to do this all in absolute style and in the smartest of environments. We aim to give you a quality service where you can escape, relax and enjoy proper male grooming services at an affordable price. We know that some UK Barbers do still provide a full service, but, at this level, they are impossible to find in the suburbs and are therefore only be found in the West End of London, where premium prices are to be expected. 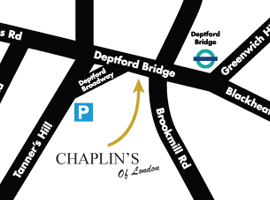 For appointments, call Chaplin's of London on one of the numbers above or visit our bookings page. Visit our Prices page for a full list of treatments, services and prices. For full contact details and a location map, visit out contact page.